Home Volunteer Appreciation A Cause for Celebration! On April 19, volunteers, their friends and family, and CTN staff and board members gathered to celebrate our amazing volunteers and the work they’re doing to help CTN meet our mission of transforming lives through digital literacy. Here’s a link to photos from the event. Randy Lee, a volunteer at Aquatic Park Senior Center, received “Most Hours Worked” award for 326.5 hours in 177 shifts. Oscar Vega, a volunteer at Downtown Senior Center, received “Most Learner Connections” award for 374 connections in 44 shifts totaling 88 hours. Jared Boddum, who received our “Tutorus Maximus” award, served six locations, speaks seven languages, and made 228 learner connections. Bob Nowacki received our “Behind the Scenes” award for being our editor extraordinaire. 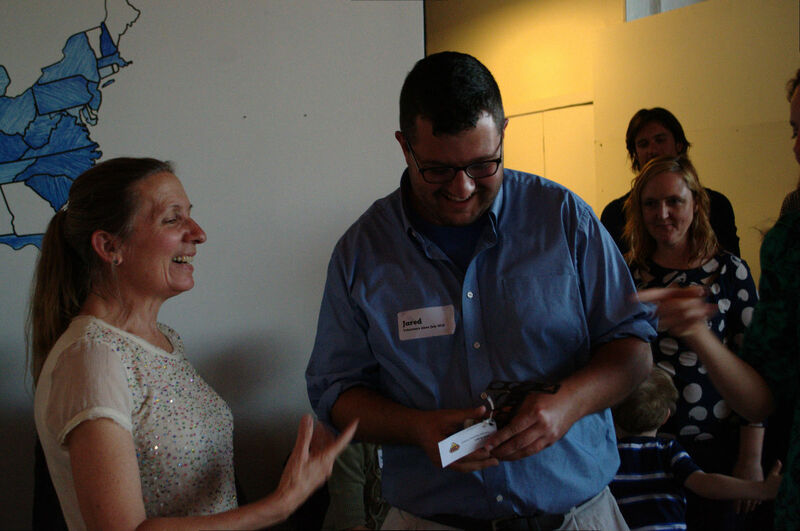 Kevin Terhune, master of the CTN website relaunch, received the “Spring Forward” award. William Dean received a “Special Mention” for being an exceptional teacher and extended reach at 6 locations. At the halfway point, 2016 is already an equally amazing year, and we owe it all to our volunteers.